In this low budget, terribly written slasher-horror-thriller, we see a young woman being terrorized by a nun because she rented a room at a bnb in the woods. So, okay, we have been in the age of The Nun knockoffs and generic copies of The Nun for quite some time now, even before The Nun released. What does it tell you when the latest knockoff is released on digital, with some studio backing? It’s a bad omen, that’s what. The Nun was a terrible film too, so copying any element of a terrible film only serves to lower the quality of the film being made. The Bad Nun would have actually been okay if there was more backstory and less predictable story. I mean, you figure everything out pretty quickly, even if there’s a mild attempt at establishing mystery. Doesn’t really help that the character logic goes against what any sane person would do in that same situation. It would make sense to be a bit more understanding if the director, who, incidentally, is also the writer, was debuting with no experience whatsoever, but it’s not. Scott Jeffrey has written three horror films before this one. It is his first directing feature, but he has been an assistant director before, and had various other roles in previous films. You would think he would have added to his skill set with all his experience, but that was not the case. Visually, The Bad Nun was appealing. There are some very pretty shots and the sets are really really cool. But that’s the only highlight. There’s an odd mix of Hitchcock and The Nun influence throughout. Even the very misleading movie poster implies The Nun influence. The Hitchcock influence wasn’t expected, even though it never really goes anywhere. You basically get a very skimmed version of what could have, potentially been, a very jarring psychological slasher horror-thriller. There’s just so little to the backstory, the characters, and the plot, that you feel like you’re watching a very extended short film. 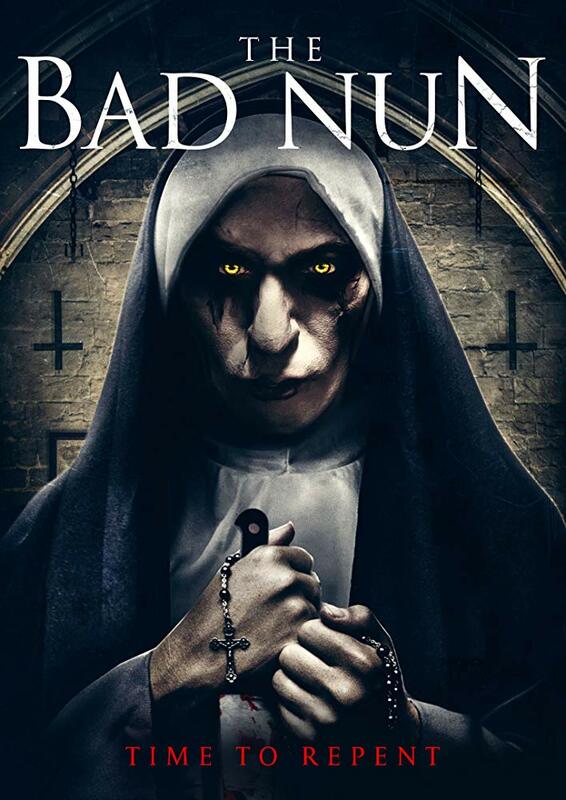 The Bad Nun isn’t even scary. There are jump scares and some moments that are supposed to be suspenseful, but you never really get the feeling of dread, just as you never really jump from the jump scare moments. The acting was barely okay. Becca Hirani does a lot of screaming as Aesha Wadia, and Thomas Mailand does a relatively good job as Dan, though he could have benefited greatly from dialing down his role a notch. But I’m assuming that’s Scott Jeffrey’s fault. You can tell some of the panic in the actors faces is from not knowing what they should be doing or how they should be going about it. Bad directing can result in all sorts of shenanigans. There was a sort of shrill soundtrack too. I didn’t notice it at first, but as soon as I did, it got really annoying. I was wishing there was a way to turn it off. 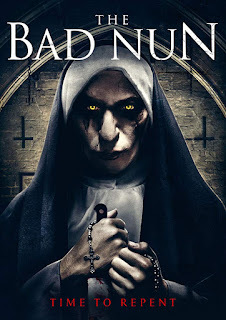 Overall, I was forgetting The Bad Nun as I was writing the review of it, and I just finished watching it before I wrote this review. It’s a very skippable movie, and I highly recommend skipping it. There are better The Nun knockoffs out there, even if it means sorting through the forgettable nonsense.